My name is Tony, Last year, 2012, was the first year my wife and I square foot gardened. We started building them during the season, and had moderate success for getting a late start. 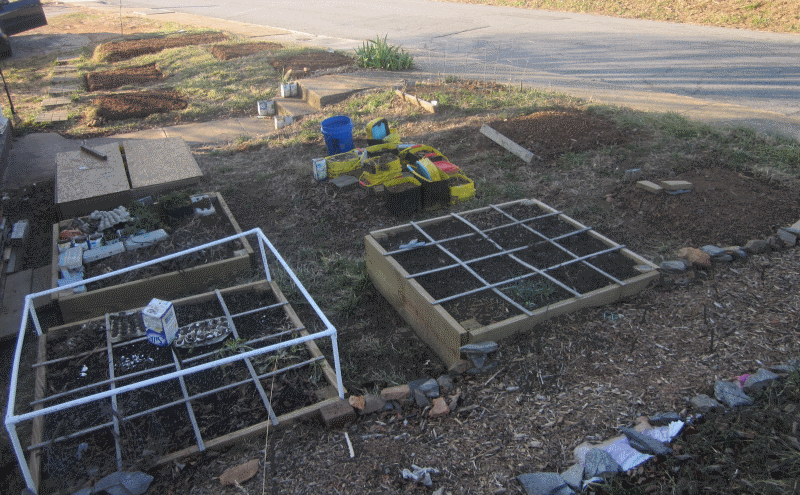 The reason we started SFG at all is because the 8″ x 20″ row garden in the back yard would frequently be neglected for a week or two at a time and crops that needed extra loving would get lost to the hot Virginia summer sun. The SFG lots are in the front yard, which has high foot traffic, so we will have ample opportunity to pick a couple weeds and dump a container of water as we walk past them every day. Each lot has at least 2 feet of grass on each side for easy access. The mustard in this lot is from last year, but may not survive the rest of the winter. It is already very wilty. If it does not survive, I will replace it with pepper and tomato plants. This is a raised bet, with ~10 inches of Mel’s Mix. The rose plant was a present my wife got from a friend last year. I think its a dwarf, so I suspect it will get shaded out. These two lots, along with the NE lot, are pepper/tomato focused, with some Marigolds thrown in for some more color and companion planting. The North Lot is a raised bed with ~10 inches of Mel’s Mix. The Center Lot is ground level topsoil. Almost everyone tells me it is not worth the effort to start peppers and tomatoes indoor from seed, but I had good success last year(high germination and transplant survival). 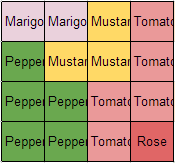 I plan to start planting both from seed indoors February 15th, and start transplanting the peppers on March 30th(2 weeks later) and the tomatoes on April outside on April 6th(3 weeks later). Is my timing right? 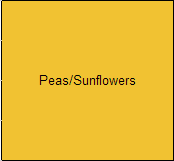 These 3 lots have peas, with sunflowers for support, and are ground level top soil. 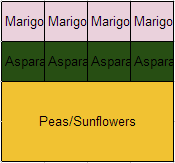 If I plant the peas when I am planning, March 2nd, will the sunflowers that are planted on March 30th be able to grow through them fast enough to provide support, or even at all? I would prefer to not have to stake the sunflowers, but am not sure what size/kind is big/fast enough but not too big. The garlic and marigolds should help with rodents and pests. The East Lot is a raised bed, but no Mel’s Mix. 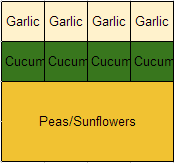 I plan on planting garlic cloves outside February 9th, and the cucumbers on April 20th. This lot is experimenting with the 3 sisters technique. It is ground level topsoil. How many corn stalks per quadrant should I shoot for? How many bean plants? 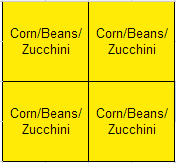 I am thinking 4 zucchini plants, one in the NE corner of each quadrant, will provide more then enough ground foliage to choke out everything else, maybe even the corn and beans. The plan is to plant the beans on April 13th, the corn on April 20th, and the Zucchini on May 4th. Salad lots. Ground level topsoil. 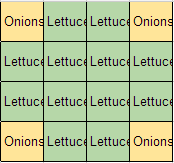 Onions should help deter rodents. 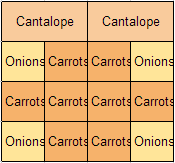 I am probably going to replace at least some of the carrots with more lettuce. 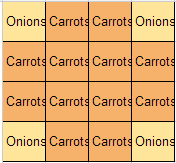 I am planning on planting the the carrots on March 9th, the onions from seed I harvested last year on March 16th, and the lettuce on April 6th. Melons! Ground level topsoil. I do not plan on providing anything for them to climb on, so they will almost definitely spread into the surrounding yard, which is not a big issue. 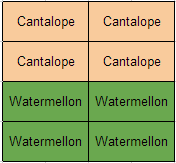 I plan on planting both the cantaloupe and watermelons on April 27th. Random stuff, but there was an attempt to pair companion plants. Ground level topsoil. The marigolds are going in on March 30th, and the garlic on February 9th. I am going to try starting eggplant indoors on March 2nd, and transplant on April 6th. 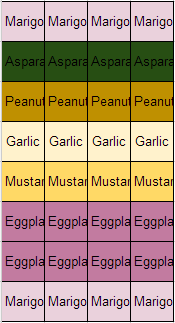 I don’t have a plan for the peanuts, asparagus, or mustard yet. I do not plan on investing more in peat moss or vermiculite. Should I redistribute the Mel’s Mix I do have in the N and NE lots to some of the other lots? I do plan on investing in more manure for all the lots. I usually get 40lb bags for $2.25 each from Lowes. Is this a good deal, or do I need to find another source? 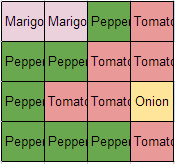 1) Not worth the effort to start peppers and tomatoes from seed? I think the “almost everyone” you’ve been talking to didn’t include any gardeners, LOL. Personally, I think they are the best plants to start indoors, if for no other reason than there are so many varieties to choose from and only a very small handful of those are available as transplants at the big box stores. 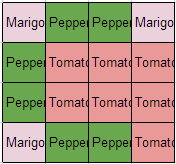 I actually order my pepper and tomato seeds online because even the seeds aren’t available locally for what I want, but if you can find exactly the seedlings you want locally, more power to you. 2) I am wondering about the placement of the tomatoes. My understanding is that you would need to prune every single sucker and train a single stem to a stake to make them work in a SFG, or grow smaller determinate varieties that don’t get very big. You don’t say what varieties you’re planting, so just be sure the larger varieties aren’t blocking the sun to the smaller ones, or put them all along the northern side of the beds. 4) I’ve never had any luck with the “Three Sisters” and the reading I’ve done online tells me that few, if any, others have found it worth it either. I think it’s one of those things that sounds good in theory, but doesn’t actually work in practice. That said, if you want to try, why are you planning to plant the beans before the corn? You’d need to have the corn up and pretty sturdy before the beans tried to climb on them, so you’d want to plant the corn first. 5) As your asparagus grows, expect it to take over its section of that bed; it’s a perennial that needs a lot of room, but will reward you by giving you many years/decades of harvest. It actually might be a good candidate for the big backyard garden, since the ferns don’t need a lot of attention over the course of the summer/fall. I’m surprised at the spacing of tomatoes. I thought the “vining” aka indescriminate tomatoes needed a net support (7″ x 7″ spacing which I cannot find anywhere) and plant on north side to avoid shading the rest of the square. I couldn’t fit cabbage in a 1′ square or 9 bean seeds. 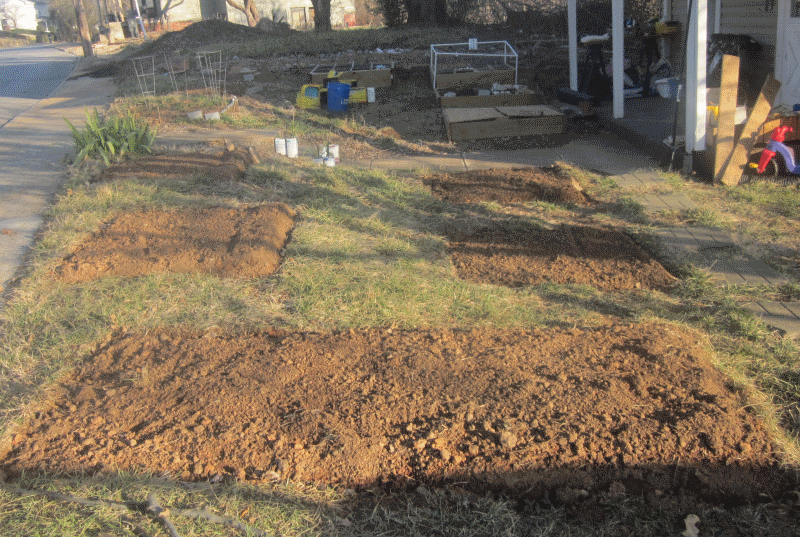 Think I am going to use some of the square beds without the squares this year. Wow! What an ambitious garden! 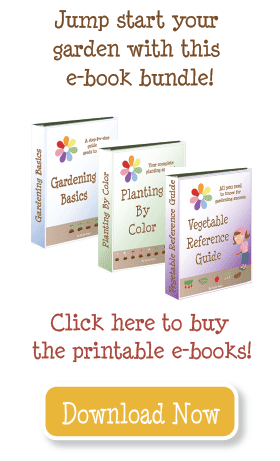 I love the idea of the sunflowers and peas being planted together. I may try that. Best wishes with your planting!